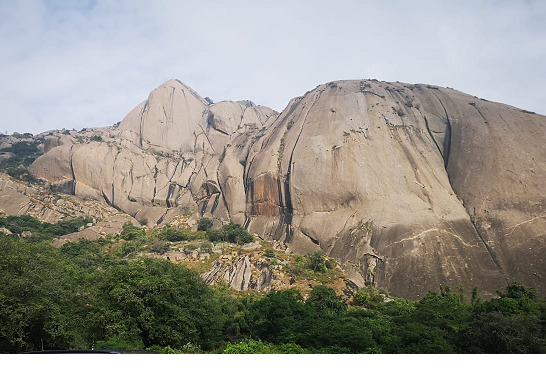 Savandurga Hill is located in Ramanagara Dist in Karnataka State of South India, at an altitude of 1226 m above sea level. It is one of the largest monolith hills in Asia. It is one of the popular one day destinations from Bangalore. Savandurga was a prominent place during the Hoysala rule. In 1791, Lord Cornwallis captured Savandurga from Tipu Sultan in the Third Anglo Mysore War. Savandurga hills - There are two hills in Savandurga - Billigudda (white hill) and Karigudda (black Hill). Youngsters and adventure seekers go there mainly for trekking and it is a very popular destination for trekking. Both the trails to these hills are tougher. If you can manage to get to the top by following carefully the arrow marks, you can enjoy an exhilarating view of the surrounding region. 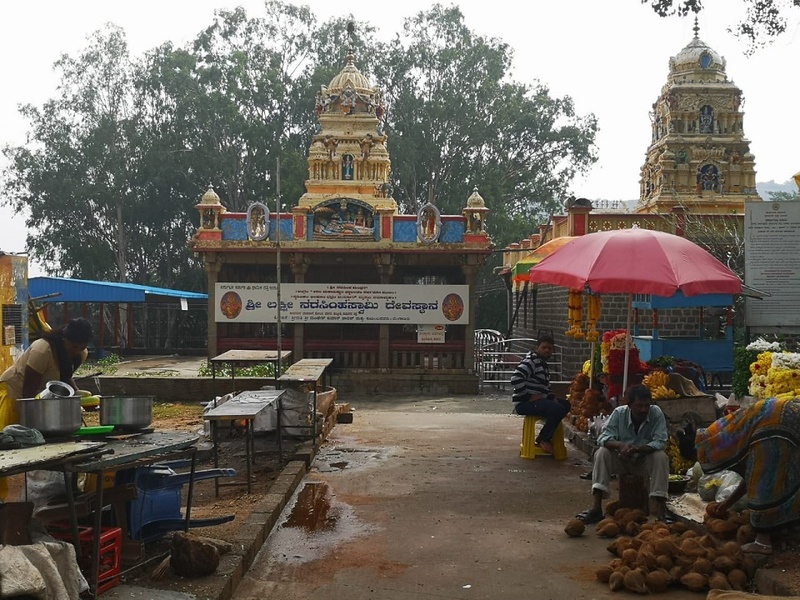 Temples at Savandurga - There are two temples located at the foothills - Sri Savandhi Lakshmi Narasimhaswamy temple and Sri Savandhi Veerabhadraswamy temple. 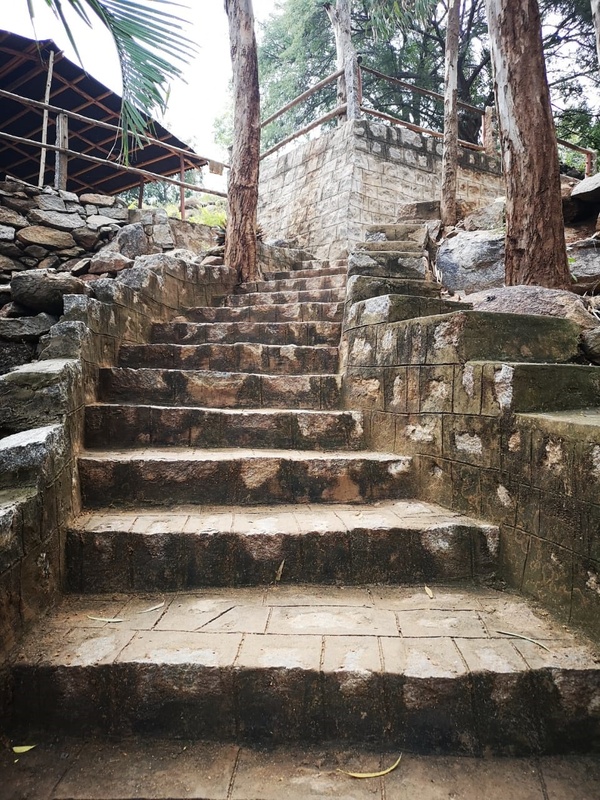 Those who are unable to go for trekking can visit these temples and enjoy the surrounding area of stunning beauty. The ruins of an old fort crown the top of the hills. 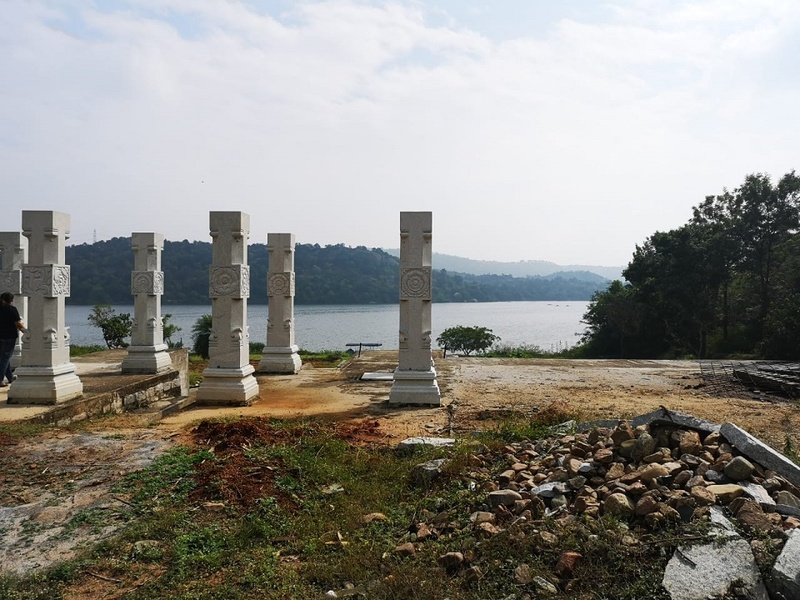 Manchanabele Dam - The forest area is said to be the home of diverse flora and fauna.and also for medicinal plants. The backwaters formed by the Manchanabele dam on River Akravati are beautiful and is idyllic for family picnics and outings. Bird watching is a major activity here. 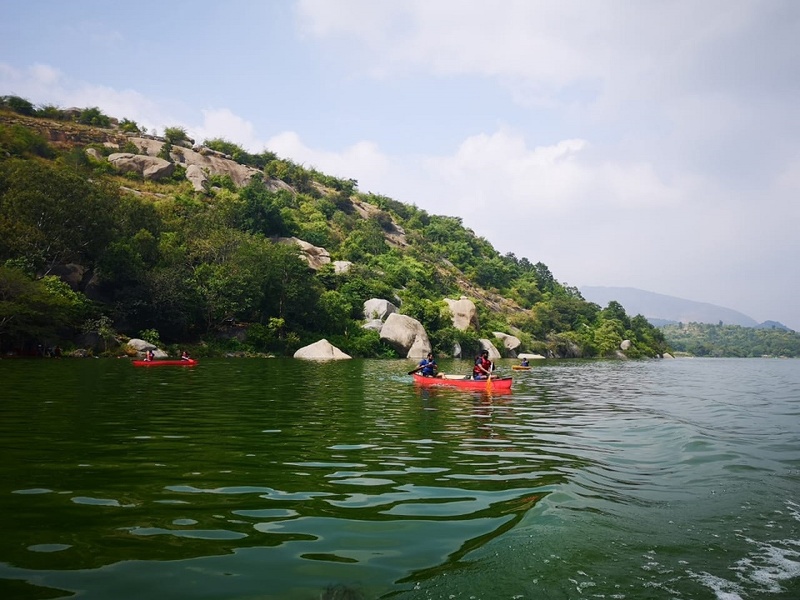 Camp eXtreme zone is Bangalore's only outdoor & recreational centre. It provides a true camping experience to enthusiasts and corporate teams. Movie shoots also happen here. Another place on the way to visit is Big Banyan Tree (Dodda Aalada mara) which is said to be more than 400 years old, and it is spread over an area of 4-5 acres. You must carry enough water and food since you won't find any eateries nearby. In summer, it is better to trek early in the morning before the sun is high up. In monsoon season, the rocks can be wet and slippery. You must wear a good set of shoes, not slippers. On Sundays and holidays, like any other holiday spots, it will be crowded. Distance from Bangalore City Railway station is 50 kms and from Ramanagar 31 kms.